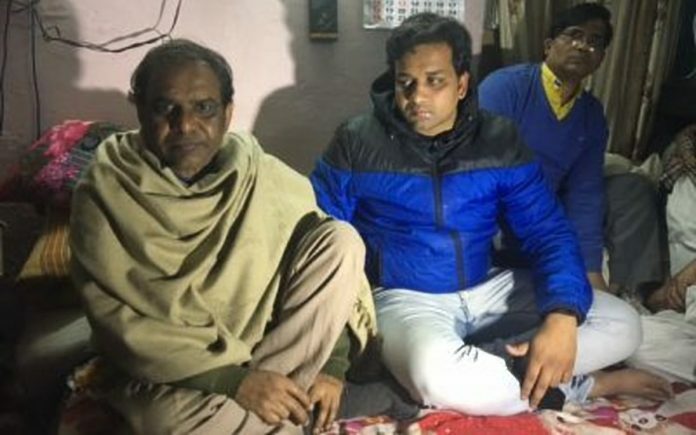 Yashpal Saxena has continued to reject the attempts to politicise his son’s death, and wants Ankit to be an inspiration for those in inter-faith relationships. New Delhi: The father of a young Delhi man killed over his relationship with a Muslim woman is organising an iftar this Ramzan to ensure love, not hatred, marks his son’s legacy. Ankit Saxena, a 23-year-old photographer, was stabbed to death by the family members of his long-term girlfriend in February this year, a cold-blooded murder fundamentalists hijacked to push their agenda of polarisation. But Yashpal Saxena has continued to reject the attempts to politicise his son’s death, and wants Ankit to be an inspiration for those in inter-faith relationships. With this in mind, on 3 June, Saxena will organise an iftar in his locality, west Delhi’s Raghubir Nagar. The event, Yashpal said, was a “starting point” for the trust he has established in Ankit’s name to help couples who want to marry outside their faith. Even though the trust has not yet been registered — it will be in “just a few more days”, Yashpal says — the iftar can be considered its first event, he added. “Arrangements for the iftar are being made by members of the trust along with other family members and friends… Since we are inexperienced in these matters, we will reach out and seek help from like-minded people,” he added. “The iftar will be held at the local park near our society. We keep going to the local police station to follow up on the progress of the investigation and hence our first invite went to the officers there,” Yashpal said. Others on the guest list include the representatives of a few NGOs. “Only like-minded people are invited,” he added. “We are talking to whomever we meet and extending our invitation. We hope that the invitation goes around through word of mouth and like-minded people join us,” he added. With communal passions seemingly easy to inflame of late, and self-styled moral policemen reportedly disrupting inter-faith weddings, does Yashpal fear a backlash against his initiative? “We will pass on our message of tolerance to whomever we meet. To those who do not agree with me, I simply fold my hands before them and wish them well,” he added.